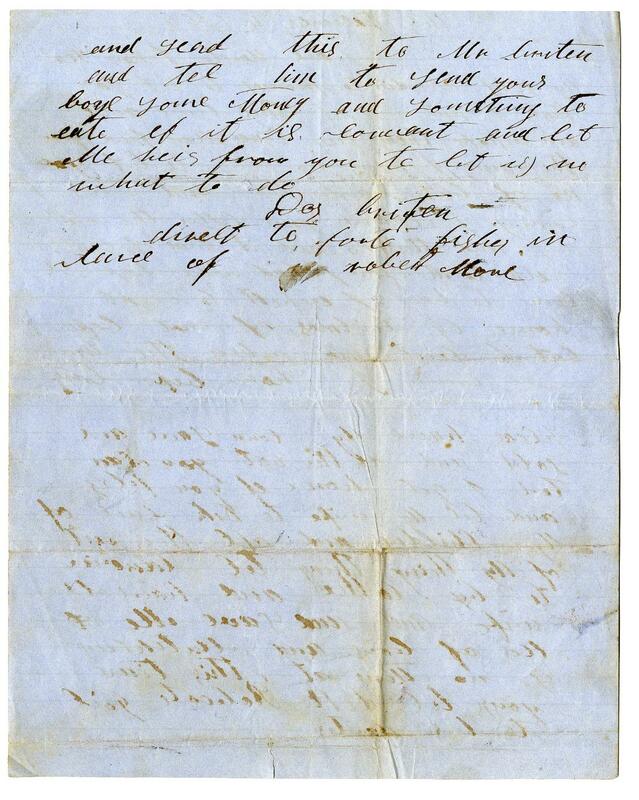 Item Description: A letter from a slave at Fort Fisher sending thanks to his master for money and instructions for the care of his family. Despite difficulty spelling due to lack of education, he writes well and enough to communicate that he was experiencing hard times, and hopes that his family will have enough. Citation: From Folder 41a, in the Ralph Gorrell papers #1520, Southern Historical Collection, The Wilson Library, University of North Carolina at Chapel Hill. Deare Master, I now seate myself alone(?) to promis to let you no that I am wel at the time and am in hope these few lines may find you the same. I have no nuse to let you no of but hard times and worse a coming. 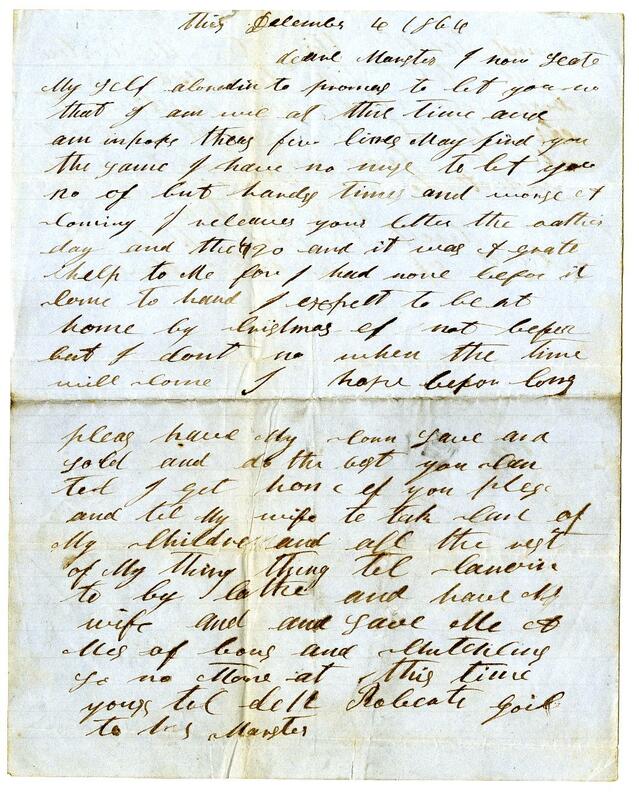 I receaves your letter the other day and the $20 and it was a grate help to me for I had none before it come to hand I hoped to be at home by Christmas if not before but I dont know when the time will come I hope befor long. and send this to Mr. C(?) and tel him to send your boys some money and something to eate if it is conveiat and let me heir from you to let us no what to do. Direct to forte fisher in hand of Robert More. This entry was posted in Southern Historical Collection and tagged Chirstmas plans, Civil War, Fort Fisher, Ralph Gorrell Papers, slaves. Bookmark the permalink.